The strategic arm of the Government Architect’s Office has been transferred to the Department of Planning and Environment in NSW. Making this announcement, Secretary Carolyn McNally explained that the Department of Planning and Environment already worked closely with the Government Architect on several projects and the transfer only added to the expertise of the Department. According to McNally, the transfer will help establish the leadership of the Department in strategic planning, and provide best practice for planning and design for NSW. With a massive program of renewal and planning underway for the future of NSW towns and cities, she believes the Government Architect’s Office will bring an enormous amount of expertise to the planning table. In its 200th year, the Government Architect is the oldest continuing role in Australia. 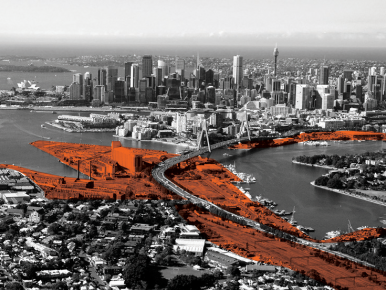 As someone who already works closely with the Department on several projects, NSW Government Architect, Peter Poulet is eager to create a vibrant NSW while maintaining his role as an independent thought leader. Poulet said his office’s expertise could be used by the Department to help plan well-designed communities. He added that they will work together to contribute to the State and their city’s ability to foster innovation, develop thriving communities, and attract investment and skills from across the world.